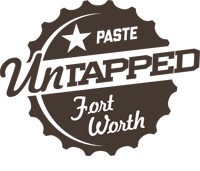 Happening on Saturday, Paste Untapped returns this week to the Panther Island Pavilion in Fort Worth. If you haven't seen the complete list of all the beers that will be available, by all means check it out on the festival website. As for a quick analysis, we can talk about obligatory stats like the over 250 beers from 62 breweries, or we can simply ask the one question that brings it all home: When is the last time you had a ticket to a festival in North Texas where you could sample over fifty beers rated 98 or above by your peers? To help quell the certain madness of choosing which beers to drink, I've pared the list down a bit into what I call a beer geek breakdown. If you want the best of the best, or just a taste of something new, this is where to start. Really, you don't need recommendations with all the list has to offer. You'd do just as well if you drew random names out of a hat, or instituted a game of craft beer blind man's bluff. Come to think of it, maybe "list" isn't even the right word anymore. Really, it's more like a blinding neon beacon of beer light. Buy a ticket, bask in its glow.